Hard drive specifications for computers are generally the easiest to understand. There are really only two numbers that are needed to know: capacity and speed. All hard drive manufacturers and computer systems rate the capacity in GB (gigabytes) or TB (terabytes). This translates to the unformatted capacity of the drive in billion of bytes for a gigabyte or trillion of bytes for a terabyte. Once the drive is formatted, you will actually have less than this number in drive space. This has to do with the advertised vs. actual storage capacities. This makes size comparison really easy to determine as the higher the number, the larger the drive. Drives are now regularly listed in terabyte sizes for desktops. Most consumer desktop systems spin at a 7200rpm rate. A few high-performance drives are available with a 10000rpm spin rate. A new class of high capacity drives has also started to make their way into desktop computers as well. Often referred to as green drives, these spin at slower rates such as 5400rpm or feature a variable rate. These are typically designed to consume less power and produce less heat. Overall though, the speeds will generally be 7200rpm. Solid state drives are a new form of storage that is designed to replace hard drives. Rather than a magnetic disk to store the data, the SSD uses a series of flash memory modules to store the data without any moving parts. This provides faster performance and higher reliability at the cost of lower capacities. These are still quite rare in desktops as they are generally too expensive and provide less overall storage space. Solid state drives are a bit more complex in their overall performance, price, and capacity. For instance, a solid state drive can actually just be a card rather than a standard 2.5-inch size drive. In some cases, a solid state drive may be used as a form of caching to improve the overall performance of a desktop. This is currently only available with certain Intel-based desktop systems and its Smart Response Technology. There are other software and drive caching solutions available on the market for those not using the specific hardware for Intel's solution but there are still hardware and software requirements before they can be used. Both options won't be quite as fast as using a dedicated solid state drive for storage but it alleviates the storage capacity problems and sidesteps some of the cost. Another option that can be found in some computers is a solid state hybrid drive or SSHD. This effectively takes a small solid state drive and puts it into a physical hard drive. This solid state memory is then used as cache for the frequently used files to help boost performance. It isn't quite as effective as a full-size SSD caching a hard drive as they tend to have much less memory for caching. Additionally, hybrid drives are typically reserved for smaller notebook-class drives compared to the desktop drives meaning they are smaller and have less capacity than a desktop drive. The one advantage these hybrid drives do have is accelerating non-Windows based systems like the Intel Smart Response Technology caching option only works for the Microsoft Windows operating systems. How Much Hard Drive Do I Need? These are just general guidelines considering the most common amounts of storage space that files and programs associated with these tasks take. With the current size and cost of hard drives for computer systems, it is easy to find drives of larger capacity than the numbers listed above for very little in cost. In addition, some performance systems are mixing a solid state drive for the boot/OS drive and then using a hard drive for all other storage. RAID is something that has existed in the PC world for years but is now available in more desktop PCs. RAID stands for redundant array of inexpensive disks. It is a method of using multiple hard drives for performance, data reliability or both. What features and functions are determined by the RAID level, referred to typically by 0, 1, 5, 0+1, 1+0 or 10. Each of these has specific requirements for hardware and have different benefits and drawbacks. Which Computers Are Right for Gamers? Can a Small SSD Drive Boost Performance to Your Current PC? 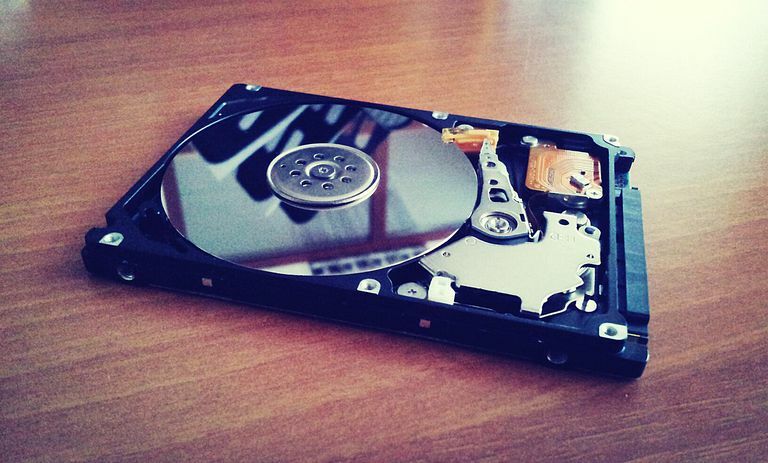 What Does Your Perfect Hard Drive Look Like?